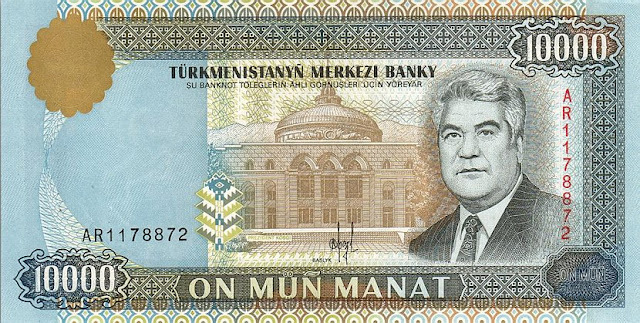 Obverse: Portrait of Saparmurat Niyazov "Turkmenbashi" former President of Turkmenistan. At center: The Old Presidential Palace, a 1950s building with a shallow dome atop a cylindrical drum. In the Soviet period this place housed the Central Committee of the Communist Party of Turkmenistan. 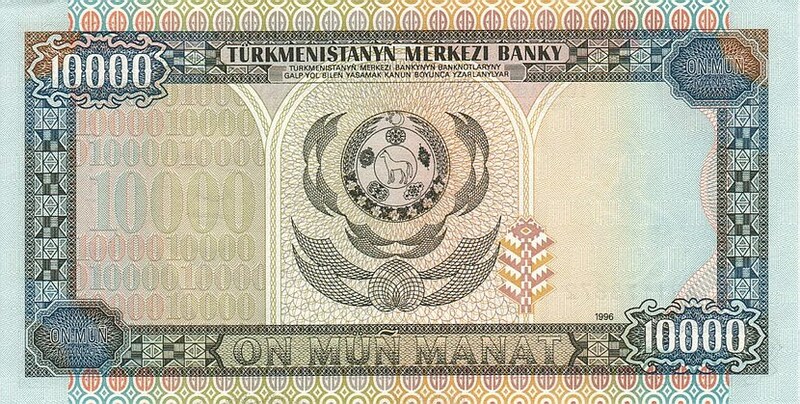 Signature: Khudaiberdy Orazov. 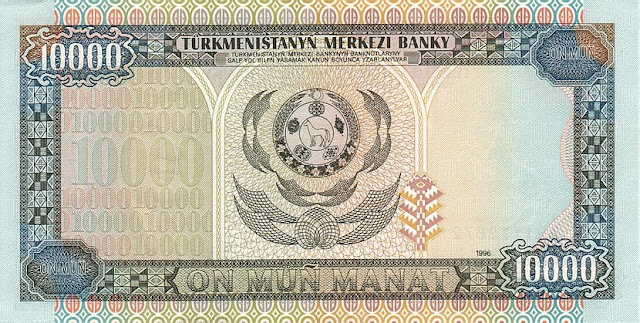 Reverse: The State Emblem of Turkmenistan at left (version 1992-2000) at center.